L W Spiro & Associates, Inc.
L. W. Spiro's Windsock-it is a small, portable, calibrated windsock for determining accurate wind speed and direction in almost any location. The brilliant orange windsock measures 6.5" in diameter and is 27" long. The windsock is mounted on a specially designed internal frame, which keeps the mouth open at all times. 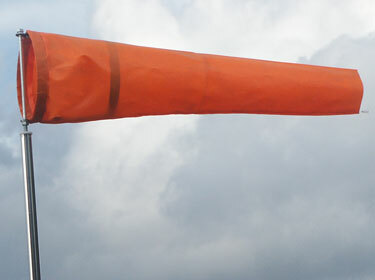 The windsock provides information in breezes as light as 2 mph, and is fully extended at 15 mph. The Windsock-it includes a chrome plated steel mast that adjusts in length from 33" to a full 48" and can be mounted to an extended pole or roof eve. The Windsock-it is a viable portable windsock solution where space is an issue including heliports, hangars, factories, chemical storage and private airstrips. Use the Pay Pal buttons below to order. 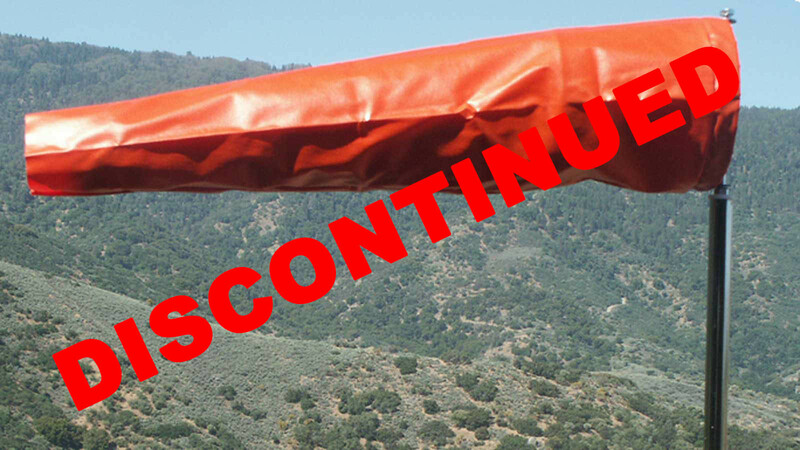 Small 6.5" X 27" replacement windsock for Windsock-it.